Seen in the streets of Dublin by The Loft Market. 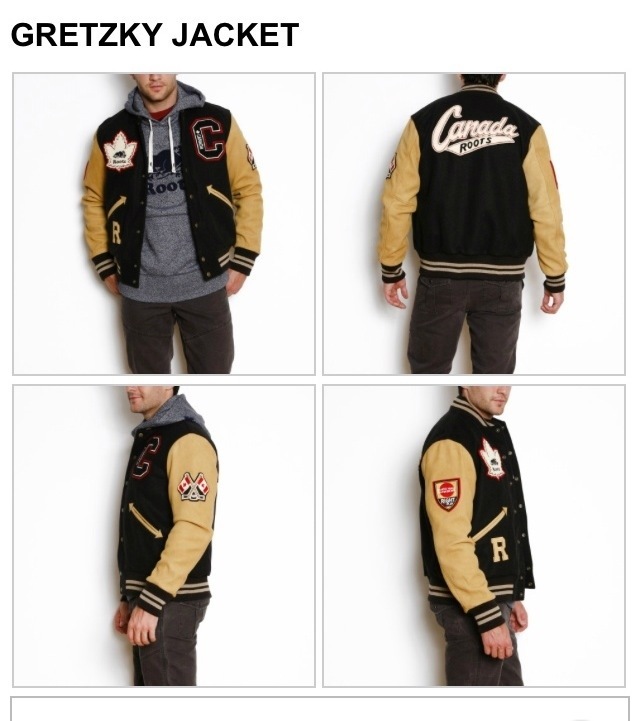 The varsity jacket has become an international trend. 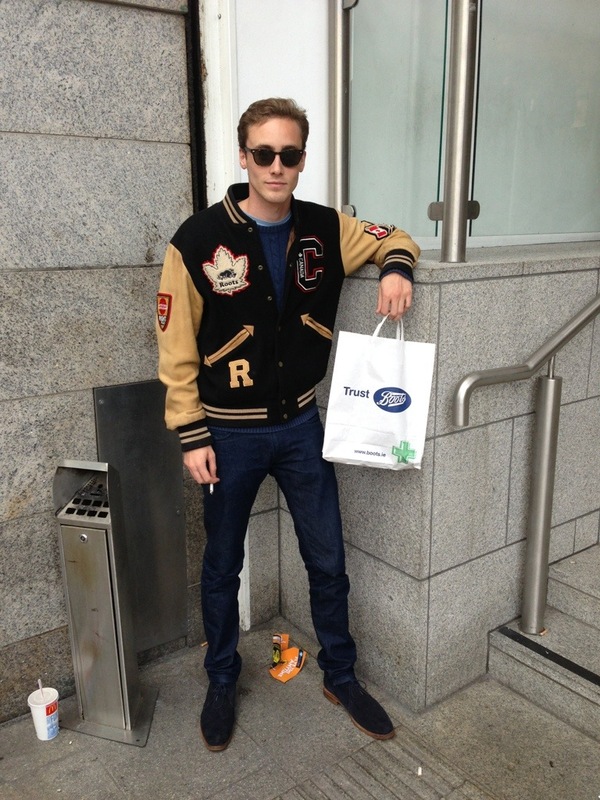 This one made my roots seen to be handling the cold very well and gives this guy a suave Ryan Gosling look.